Ninety nine races to find Victory Lane, but here's betting it won't be the last time. 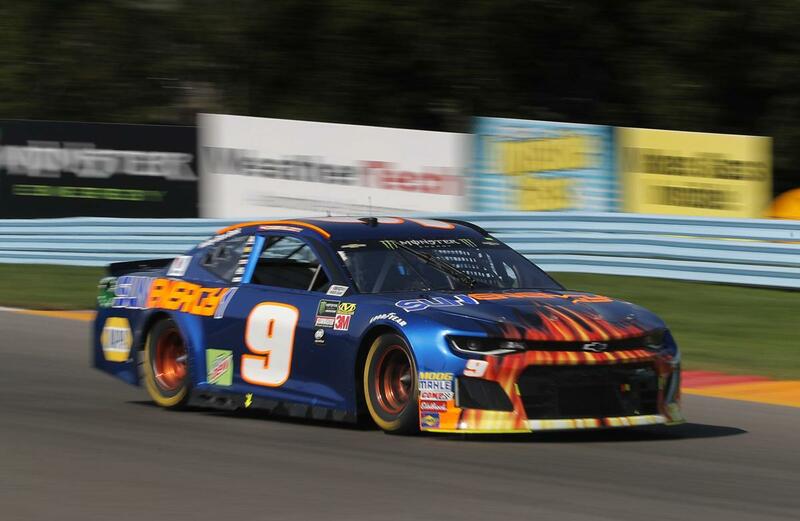 NASCAR Monster Energy Cup Series phenom (by blood and skill) Chase Elliott was constantly hounded by "when are you going to win a race). And it was legit, since his debut in 2016, the 24 year old had 28 Top 5 finishes and over 1000 laps led. But none of the Top 10 finishes were first. And none of the 1000 laps led were the last lap. 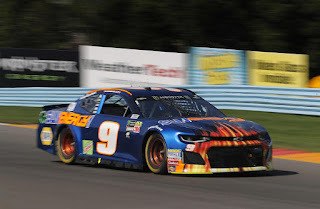 But Elliott looked both aggressive but smart at Watkins Glen, NY, as he constantly pressured the leaders until finally, they were looking at his tailpipe. Elliott finished the race holding off 2017 Cup Series Champion Martin Truex Jr. who was the only other competitor who could give him a run. And he got the run, but ran out of gas, as Elliott accelerated through the finish line for his first victory.